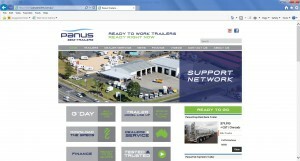 PANUS Semi-Trailers has launched its new website and Facebook page as part of the Company’s ongoing marketing strategy to strengthen its position in Australia and to provide customers with one-touch, easy access to timely information related to the brand and it’s growing range of trailer models. 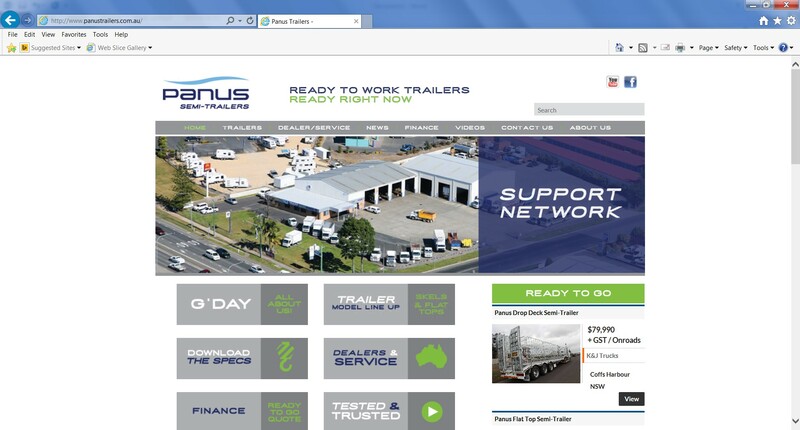 The user-friendly website, which has also been optimised for viewing on smartphones and tablets, allows operators needing to fulfil an urgent contract equipment requirement, to search for available Panus Semi-Trailer stock for sale including nearest dealer locations, new stock arrivals and other industry related information. The “Panus Semi-Trailers” Facebook page will provide fans with summarised information detailing new models, news including customer testimonials and will particularly appeal to drivers and operators who are constantly on the move and use social media to stay updated. Importantly, both platforms give customers the opportunity to engage Panus Semi-Trailers directly with two-way communication regarding sales enquiries, comments and feedback. The launch coincides with the introduction of a new Panus Semi-Trailers logo branding program which will roll out throughout 2016.